Kay is a co-founder of both Turning Point™ and Turning Point™ Institute (TPI), and was one of three initiators of what has now developed into the Masters in Integrative Counselling and Psychotherapy. She is currently Deputy Programme Director of the MSc course as well as being an active trainer on the course. 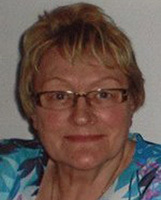 Kay commenced her career as one of the renowned “QA’s” in the British Army, during which time (5 years) she travelled and nursed in the Far East and Middle East. Subsequently she practiced in a wide variety of nursing areas; oncology, gynaecology and neurology. Later she entered the world of management running two nursing homes in London and later one in Ireland. Kay trained in Psychosynthesis in the London Institute of Psychosynthesis, from which she graduated as a Psychosynthesis Guide in 1994. In 1985 she returned to Ireland to co-found Turning Point™ with Mary Paula Walsh. Prior to founding Turning Point™, Kay trained as a facilitator with the Elisabeth Kubler Ross Foundation in the USA and was responsible, with a small team, for bringing Elisabeth Kubler Ross to Ireland and working as a facilitator at her workshops in Ireland, UK and USA. Kay’s particular interest in founding Turning Point™ was the provision of Psychotherapy services for people experiencing serious and life-threatening illnesses, and cancer in particular. Her private practice has always included a number of such clients and also those facing end of life. Kay has served on the Board of St. Lukes Hospital for a number of years and has acted as a consultant to various other Health and Community organisations. Actively involved in the two main psychotherapy accrediting bodies in Ireland, she served as treasurer in the early years of development at IACP. Kay was Chair of the Irish Association of Humanistic and Integrative Psychotherapy from 1998-2000 and has formerly acted as Chair of Complaints and Ethics, Vice Chair on the Governing Body and Chair of the Accreditation Committee. Kay remains very involved at European level as Treasurer of the European Association of Integrative Psychotherapy. She also served as Vice President in the earlier days of its development . She was conferred with a Fellowship from EAIP for her contributions to the Psychotherapy profession.